Bred for their natural working ability and correct balance of drives we strive to produce fit-for-purpose dogs for performance in the field, and detection services. We strongly believe that sound temperament, bidability and trainability are the cornerstone in both pet and working dogs. We welcome and encourage prospective puppy buyers from either professional or pet homes to attend one of our training sessions to meet us and our dogs and watch them working. There is a piece of legislation currently before parliament that is the Government’s attempt to deliver on an election commitment to stop Puppy Farms in Victoria. Whilst well meaning the new legislation has been extremely poorly drafted, and will also apply to small scale hobbiest kennels such as ourselves. Not only will force us to comply to a commercial code designed for large scale operations that really aren’t applicable to raising the occasional litter in the home, it won’t actually meet its end goal and improve animal welfare. Please have a read beyond the grossly title of the bill to find out more. About 18 months ago we had a phone call from Pat Stuart from MS Kennels looking to introduce a new puppy into his home. Pat had previously owned Belgian Malinois and was looking for a different breed with intelligence and high drive. He and his training partner Sam Montigne having become frustrated when asked to assist in training dogs that had been poorly raised as puppies had the idea of documenting in a series of educational videos the basic techniques in raising a happy, healthy, well adjusted puppy. Sam and Pat have a strong focus on selecting the right puppy from the right breeder for the right purpose to give you a headstart along the path. 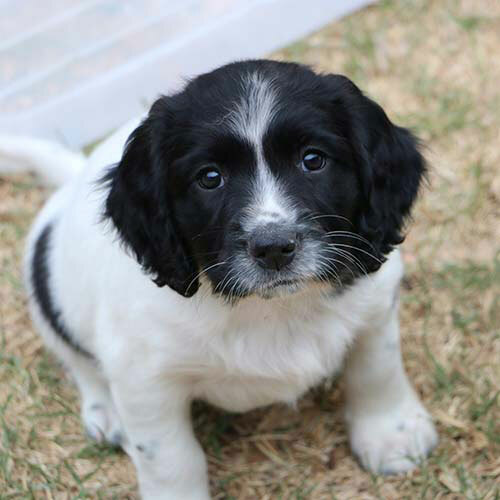 It was satisfying that after their research their decision was that a Springer Spaniel from Canicula was the right puppy for them. The project has been a tremendous success and Val has grown into a lovely little dog and surpassed even their own expectations. If you are looking to introduce a puppy in to your own family, then I can highly recommend their training series as a very good first step. 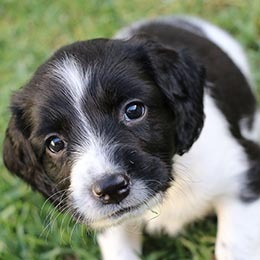 After a couple of years of persistent nagging my parents for a dog they finally gave in and in 1979 bought me a black and white spaniel called Benjy, and I haven't been without one since. 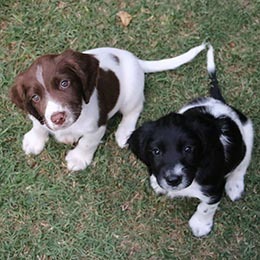 Growing up in the south west of England my dogs were companion dogs. I took them to the the local dog club and enjoyed doing some trick training and training them into good canine citizens but it was not until I migrated to Australia that I became interested in performance sports and competition. I became involved in Obedience and Agility training, before transferring the skills I had learned to Detection and Scent work, and then to Field and Retrieving. I found that many of the training methods and techniques learned in these relatively modern performance dog sports were directly transferable to traditional Field work and quickly found success in competition making up my first Field Trial Champion in only my second season of competing. As a family kennel, we run a small scale intelligent breeding programme believing in attention to detail and quality over quantity. We had our first litter in 2002 and over the subsequent years have bred just seven litters. We have enough dogs placed to continue our line and we work collaboratively with a couple of like minded kennels which enable us to access a diverse gene pool of quality working dogs. With strong ties to the UK we utilise quality overseas stock to complement our breeding programme. My dogs are first and foremost family pets and they all accompany me out hunting throughout the year. They are a real asset in the field and a pleasure to shoot over. Field Trialling is the way I test myself and my dogs against the highest standards in the State. For me, there is no better feeling than breeding, training and Field Trialling your own dogs. 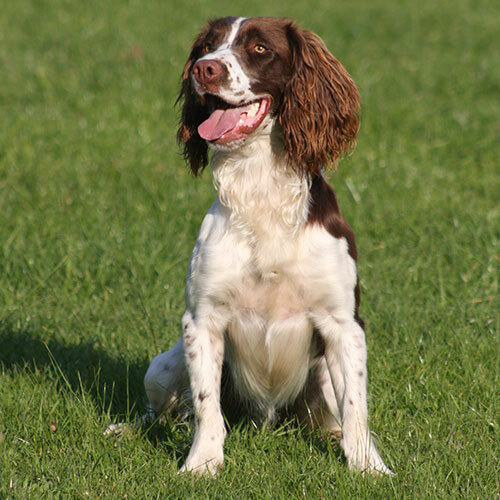 Over the years we have titled our Springers in Obedience, Agility, Field and Retrieving as well as providing started dogs for detection work. 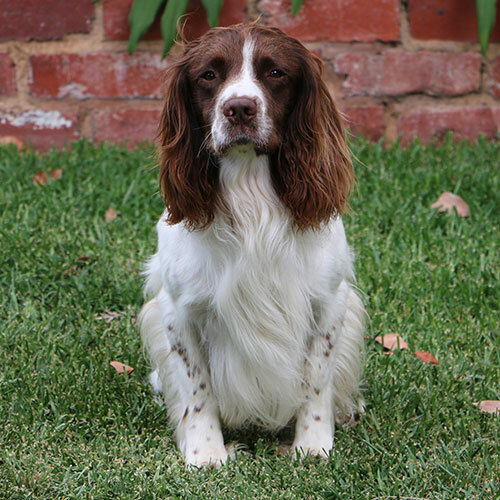 We are proud to have experience in these multiple disciplines and to showcase the versitility of the Working Springer Spaniel. 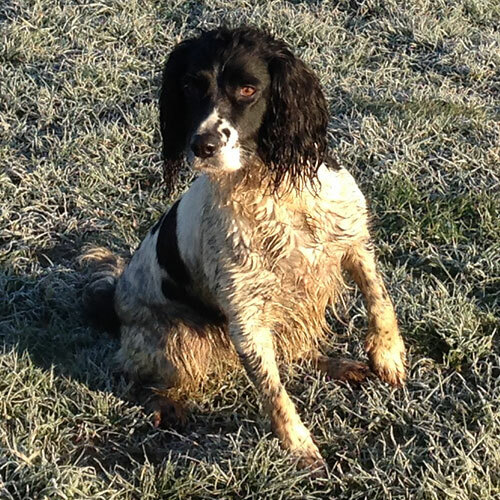 During the winter months our main focus is training our dogs for competition in Field Trials. Running since the turn of the 20th Century in the UK Field Trials were developed to test the working ability of Gundogs in competitive conditions. Trials resemble as closely as possible a day's shooting in the field and the format has changed little since their inception. Dogs are primarily scored on their game finding ability, quartering, range and ground treatment, with a dog performing its task under control with style, eagerness and action being highly credited. When the warmer months arrive we keep the dogs active training for Retrieving Tests. 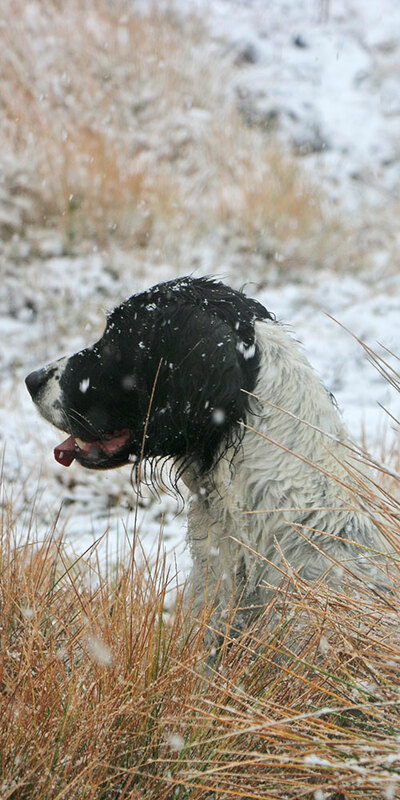 The retrieve is a secondary function of the Springer (albeit a very important one) and it is something they excel at. They are very competitve against some of the traditional single purpose retrieving breeds often outpacing them. We are happy to offer advice on training and through our wide network of contacts can facilitate training or problem solving across a range of specialist disciplines. Pat and Sam from MS Kennels used a Canicula puppy for their online training series. They have produced an excellent resource that is a must for any prospective puppy owner. There is something in this series for both experienced and first time dog owners alike. 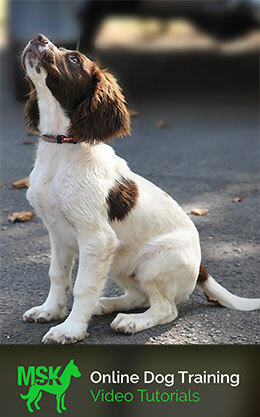 The training methods used are applicable to any breed, but extremely relevant to raising a happy, healthy Springer. We work closely with a specialist security business and training facility based in the South East suburbs of Melbourne. 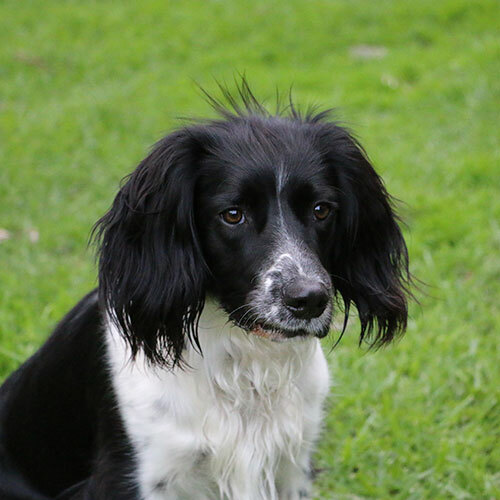 In partnership we are able to provide green dogs that are environmentally stable and sound in temperament, with the basic imprinting done that are ready to go on-course. On request we can provide bespoke trained dogs to meet specific requirements on a range of target odours. 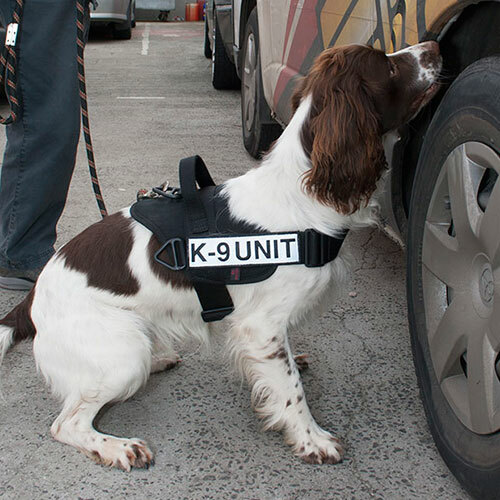 Dogs can be trained to your specifications and supplied ready for deployment. 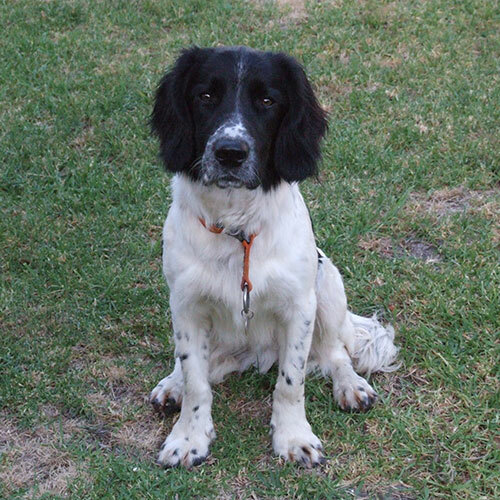 We train with the English Springer Spaniel club of Victoria. 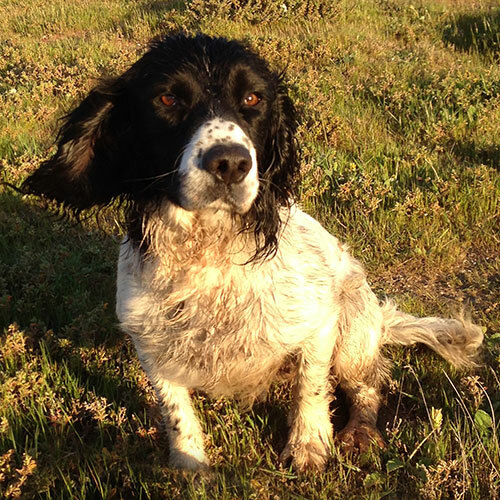 The club holds fortnightly training sessions with the programme being headed up by Rod Watt a Championship Field Trial judge, with may years experience in training spaniels. The classes have produced many Field Trial Champions over the years and cater from all levels from puppy to polished trial dogs using gentle, positive training methods. 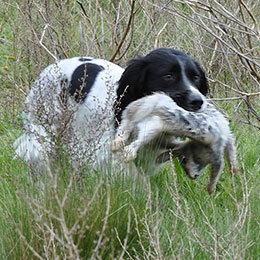 Working Springers in the field is very addictive and we highly recommend getting involved! 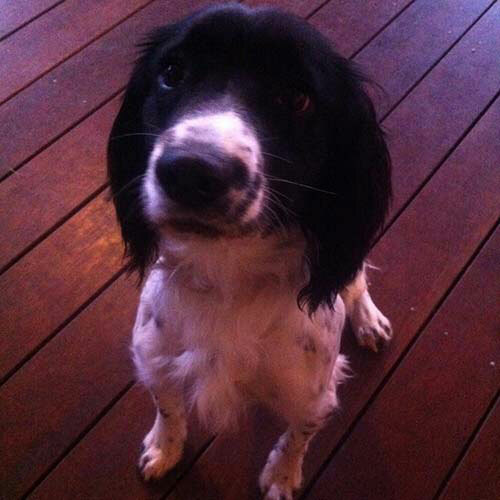 Healthwise the English Springer Spaniel is a fairly robust breed. They suffer from no more health issues than other pedigree breeds and much fewer than some. It is however a fallacy that because they are working line bred they are immune from hereditary conditions due to the fact that over the years dogs with poor health are naturally removed from breeding programmes being unsuitable for work. It’s a nice theory but all too often the clinical signs for these conditions show up too late. 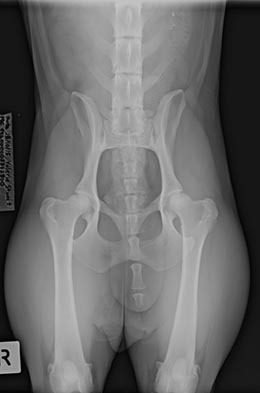 This is often the case for hip dysplasia where the relatively light build of a Springer (when compared to other gundog breeds such as the Labrador) can mask these type of structural problems, PRA tends to onset at around three years of age and with these single gene trigger conditions if two unaffected/carrier dogs are put together they will produce clinically affected offspring. Quite simply there are no excuses when it comes to health and if you don’t test you don’t know. We have the technology available to us and we should use it. Selling puppies that have the potential for serious (but preventable) disease is quite simply irresponsible and unethical. It is contrary to Australian Consumer Law, not to mention subjecting an animal to a lifetime of unnecessary pain and suffering along with the emotional stress for the affected family. My advice is if you find a breeder that is not willing to show you copies of health certificates from both parents then walk away. At Canicula we follow best practice and lead by example in conducting available testing to prevent against the following conditions in our breeding stock. In addition we also take a full breed profile for identification and proof of parentage. We believe this is should be mandated by Dogs Victoria to ensure pedigree documentation is accurate and help eliminate puppy farming practices within the organisation. Hip dysplasia is an abnormal looseness of the ball and socket that form the hip joint. This leads to wear of the soft tissues which will eventually mean bone-to-bone contact and damage to the joint itself. As the bone ball and socket wear new bone grows adjacent causing arthritis. This new rough surface causes further wear a perpetual cycle to degenerate the joint. For the dog this means a lot of pain and restricted movement in the back end. Being a poly-genetic condition (more than one gene interaction causes the condition) and it being a spectrum rather than binary condition it is hard to eradicate. What we do know is that carefully nurtured pups from parents with low hip scores are less at risk of developing hip dysplasia. The x-ray to the left is of Canicula Blackberry. She is a 2-2 (International grade A) which is amongst the best in the breed worldwide. Elbow dysplasia covers a number of different conditions in the elbow joint that can cause lameness in the front end. It is a condition that appears to be increasing in frequency worldwide. The elbows are x-rayed and graded from 0-3 with 0 describing a normal elbow joint. PRA is a degenerative retinal disease which causes blindness. The condition usually develops when the dog is a few years old initially with night blindness and usually results in complete blindness over a period of time. Sadly there is no cure, but the condition is caused by a single gene pair that can be screened for. Only dogs with two copies of the defective gene will show clinical symptoms. PFK is an enzyme deficiency which results in the dog having diseased red blood and muscle cells. Clinical signs are of low energy, exercise intolerance, muscle cramps, and intermittent dark coloured urine. The condition can be managed with careful diet and restricted exercise but an affected dog will not be able to cope with prolonged periods of work. The condition is caused by single gene pair that can be screened for. Only dogs with two copies of the defective gene will show clinical symptoms. Fuco is an enzyme deficiency which prevents complex compounds being broken down to simple molecules in the affected dogs cells. The accumulation of these compounds in the brain and nervous system cause temperament changes, loss of learned behaviours and loss of coordination. The condition usually develops when the dog is between 18 months and a few years old, it has a quick onset and is fatal. The condition is caused by single gene pair that can be screened for. Only dogs with two copies of the defective gene will show clinical symptoms. FN also known as "Shrunken Kidney disease" is a renal disease where a collagen defect affects structure of the kidney and it's ability to filter. It is a degenerative disease, and often not picked up until the function of the kidney is significantly reduced. The condition usually develops when in the first few months of the dogs life. It is fatal, and will lead to renal failure when dog is between about 6 months and 2 years old. The condition is caused by single gene pair that can be screened for. Only dogs with two copies of the defective gene will show clinical symptoms. Here at Canicula we take this puppy raising business pretty seriously! Where our puppies are concerned we go by the mantra " you can never do too much but you can do too little ". All of our breeding stock is health tested, and equally as importantly tested in the field. We believe in breeding from first and second generation working dogs whether that be detection dogs or trained for Field and Retrieving. Using proven working lines ensures that quality can be maintained and honed over subsequent generations. We breed for dogs that have the correct balance of drives with natural working ability and strive to produce dogs for performance in the field, and detection services. 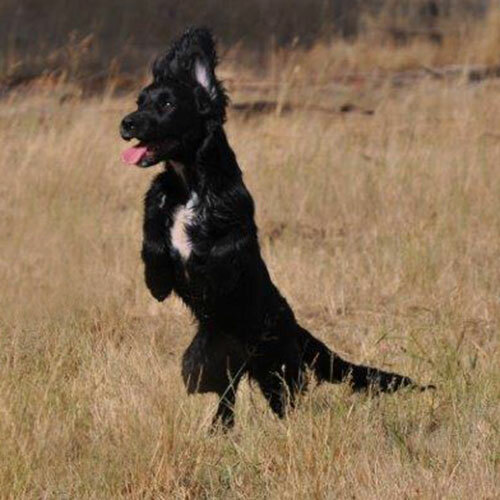 We strongly believe that sound temperament, bidability and trainability are highly desirable traits that are requirement for both pet and working dog. We welcome prospective puppy buyers from either professional or pet homes to attend one of our training sessions to meet us and our dogs and watch them working. We have a purpose built whelping room and area to raise the pups, with a hydronically heated whelping box. Puppies weight is monitored daily and the puppies are handled from day one. They go through a proofing programme during their critical development periods and are raised in an enriched environment. They are well socialised with other dogs, children and adults and exposed to common household noises such as vacuum cleaner, TV, lawn mower, power tools etc. We find that this intensive early socialisation assists them in adjusting to their new homes. The basics are of course covered off with the pups wormed every two weeks from birth and at six weeks of age they are microchipped and vet checked. In short we believe that we have done everything we possibly can to give the puppies their very best start in the first eight weeks of life. It is then for the prospective owners to continue our good work, raise them into happy healthy dogs and fulfil their potential. 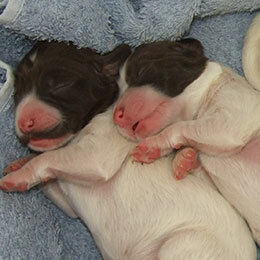 We are happy to offer advice on raising and training as the puppies develop and throughout the dogs life. Our dogs are highly sought after by the services and we are proud to have placed active service dogs with four of the state police forces, corrections, and environmental agencies both locally and overseas. Our dogs are also used by a number of private operators and due to the limited numbers are usually in demand. Please enter the word "
Sorry your message can not be sent. Please check Captcha word and try again.